Further global exchange expansion to enable higher liquidity for MCO token. 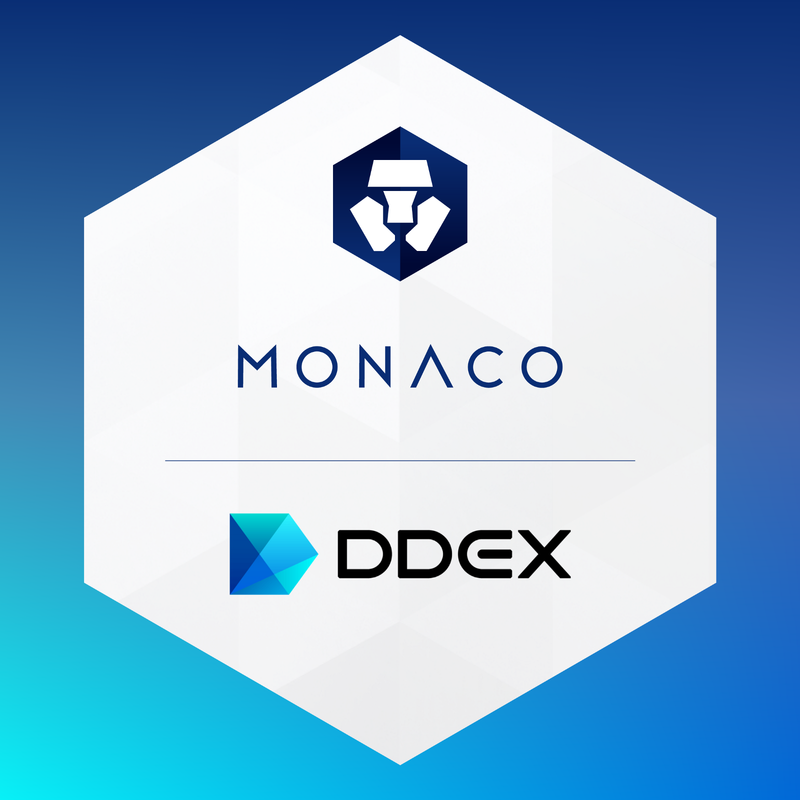 <HONG KONG, February 27, 2018> — Monaco, the pioneering payments and cryptocurrency platform, today announces that its MCO token will start trading as an ETH pair on DDEX, a global exchange for ethereum-based tokens, on Wednesday, February 28, 2018. The listing on DDEX will further enable higher liquidity and accessibility of the MCO token. The listing on DDEX brings the number of exchanges the MCO token is traded on to a total of 18. MCO token will begin trading on DDEX on Wednesday, February 28, 2018. Monaco Technology GmbH with a vision of Cryptocurrency in Every Wallet™ is the pioneering payments and cryptocurrency platform. The Monaco Visa card and mobile app allow users to buy, exchange, and spend fiat and cryptocurrencies, such as bitcoin and ether, at perfect interbank exchange rates. Founded in June 2016, Monaco raised US$26.7 million through one of the most successful Token Sale events to date. The company is headquartered in Switzerland with offices in Hong Kong and Singapore. DDEX is the the most user-friendly decentralized global exchange for ethereum-based tokens. Built on top of Ethereum smart contracts and the 0x project, DDEX allows users to trade ERC-20 tokens from wallet to wallet with no possibility of theft, no withdrawal fees, and no uncertainty of deposit/withdrawal lockup periods. Working to dispell the myth that decentralized exchange is slow and hard to use, DDEX utilizes hybrid technology which makes DDEX as fast as a centralized exchange. More information can be found at https://ddex.io/.